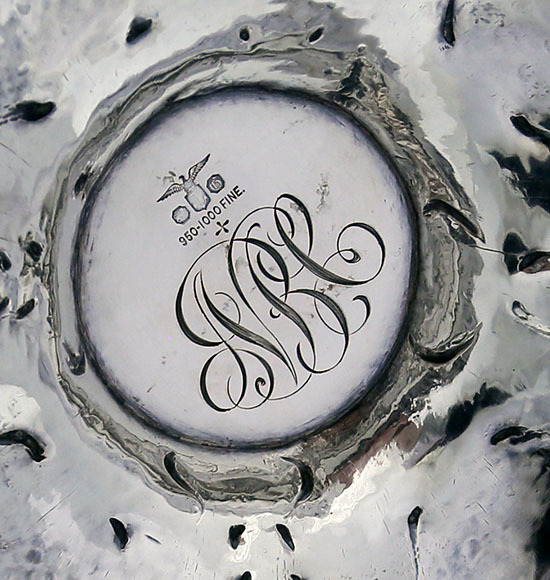 A rare Gorham martele vase with the Paris Exposition mark on the base. 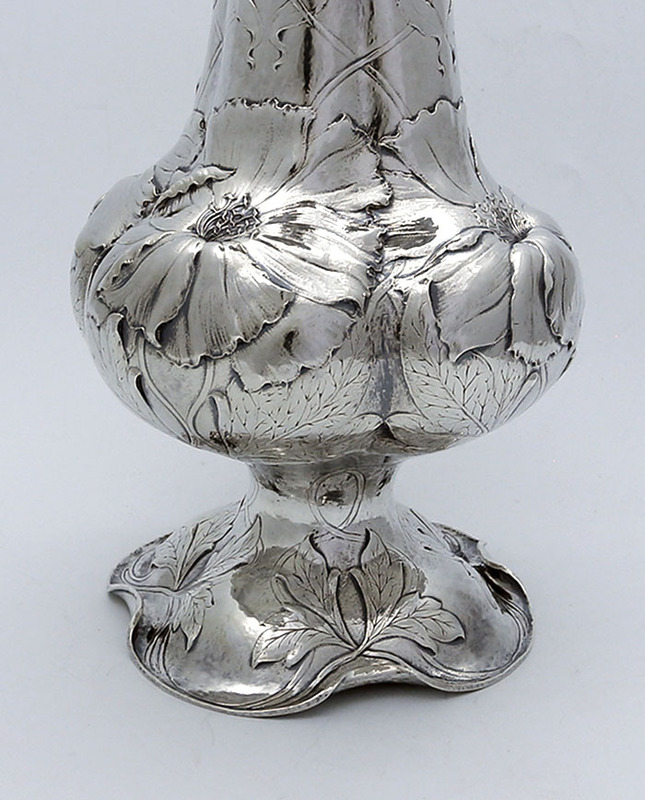 A tall antique art nouveau silver vase with extra chasing over the leaves showing more detail. 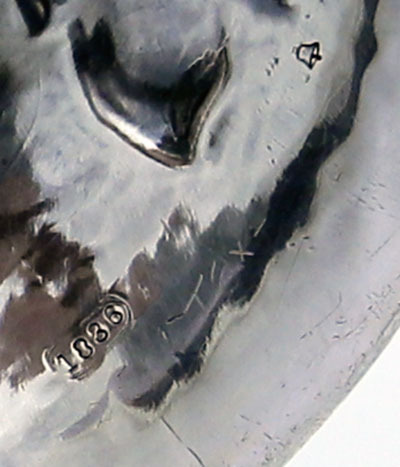 The vase has the date letter for 1900 and is designated a number in an oval so that is can be considered a sample item. 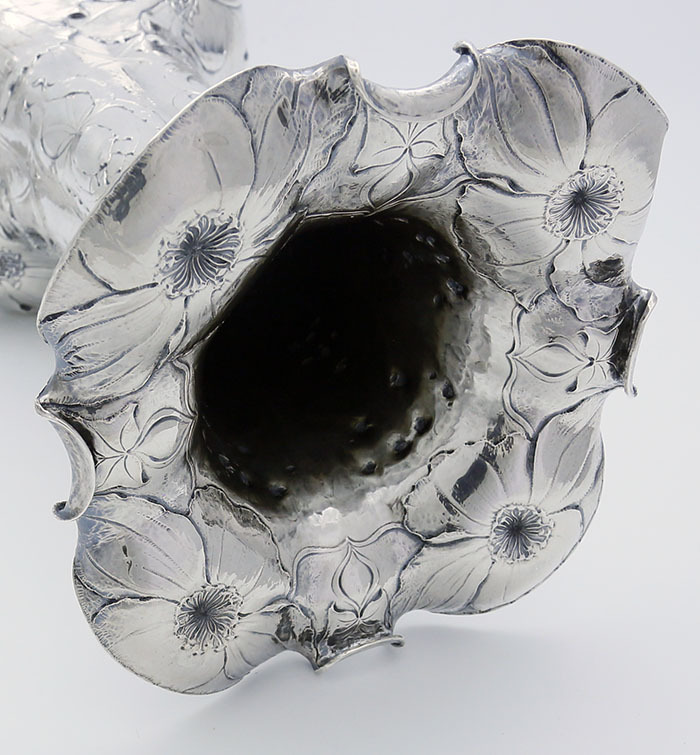 This vase was exhibited at the Paris Exposition in 1900.